Hearing loss can be the cause of frustration and discomfort for many. It can often cause everyday activities to become difficult, including complications with conversations, business meetings, watching television, or when taking part in any sort of social situation. Hearing loss can cause individuals to feel socially isolated, diminishing their quality of life. Hearing loss can occur in many parts of the ear. These include the outer, middle, and inner ear. Outer Ear- Hearing loss of the outer ear is commonly caused by a buildup of ear wax or infections of the ear canal. This form of hearing loss can be treated by one of our experienced ENT physicians. Middle Ear- Common causes for hearing loss of the middle ear are fluid buildup behind the eardrum, or perforations of the eardrum. The majority of middle ear treatments involve medication or surgery, though it can sometimes be treated with a hearing aid. Inner Ear- Aging, genetics, or exposure to loud noises are the leading causes of hearing loss in the inner ear. These causes all damage fine hair cells in the ear and inhibit signals to the auditory nerve. 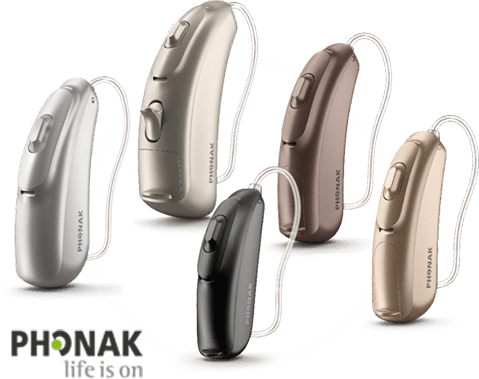 Treatment for nerve loss is the use of hearing aids. If you experience symptoms of hearing loss, it is important to see an ENT specialist for a proper diagnosis. You will have a chance to discuss your concerns about your hearing and any history of hearing problems. A hearing test can be conducted to determine the extent of your hearing loss. A physical examination of the ear canal with an otoscope can also be done to show if there is a physical obstruction causing hearing difficulty. Depending on the determined cause, your hearing loss severity, age, and cosmetic preference, you and your provider will work to come up with the appropriate treatment plan. This can involve a procedure to remove an obstruction, medication to treat an infection, or hearing aids to enhance sound. While hearing loss can be a normal part of getting older, some forms of hearing loss can be prevented from a young age. Overexposure to loud noises can damage your ears, resulting in hearing loss. To prevent noise-related hearing loss, limit exposure to noises or wear earplugs or earmuffs during exposure. If you are experiencing hearing loss of any degree, do not hesitate to contact Tuscaloosa ENT today to schedule an appointment. A comprehensive exam at our Tuscaloosa, AL office will be completed in order to determine the cause and severity of your hearing loss.